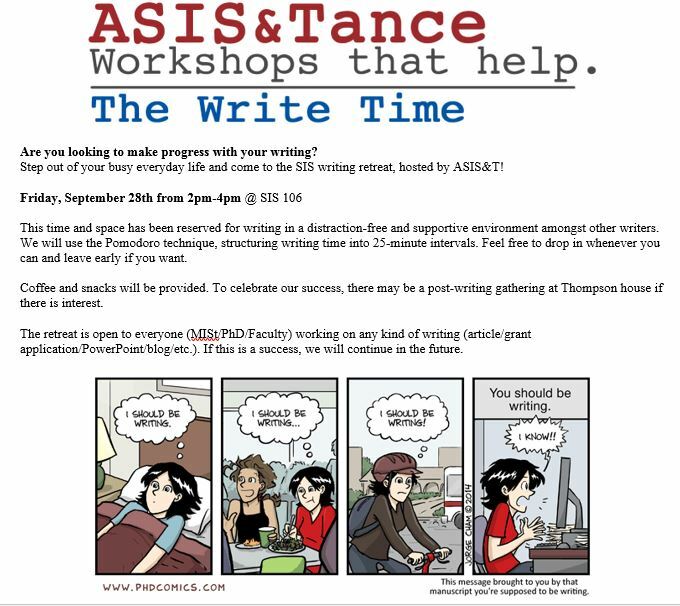 Are you looking to make progress with your writing? This time and space has been reserved for writing in a distraction-free and supportive environment amongst other writers. We will use the Pomodoro technique, structuring writing time into 25-minute intervals. Feel free to drop in whenever you can and leave early if you want. To celebrate our success, there may be a post-writing gathering at Thompson house if there is interest. The retreat is open to everyone (MISt/PhD/Faculty) working on any kind of writing (article/grant application/PowerPoint/blog/etc.). If this is a success, we will continue in the future.